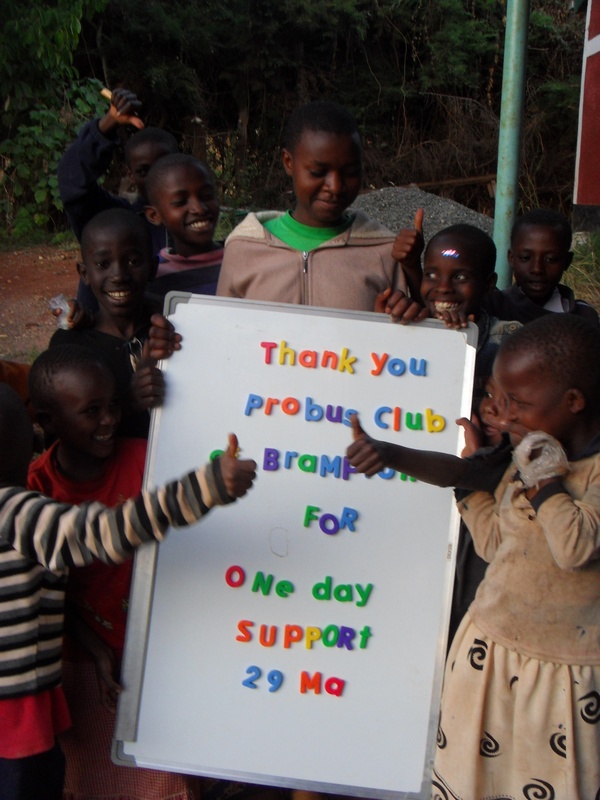 This has been a very busy month, not just for raising funds but for spending them! 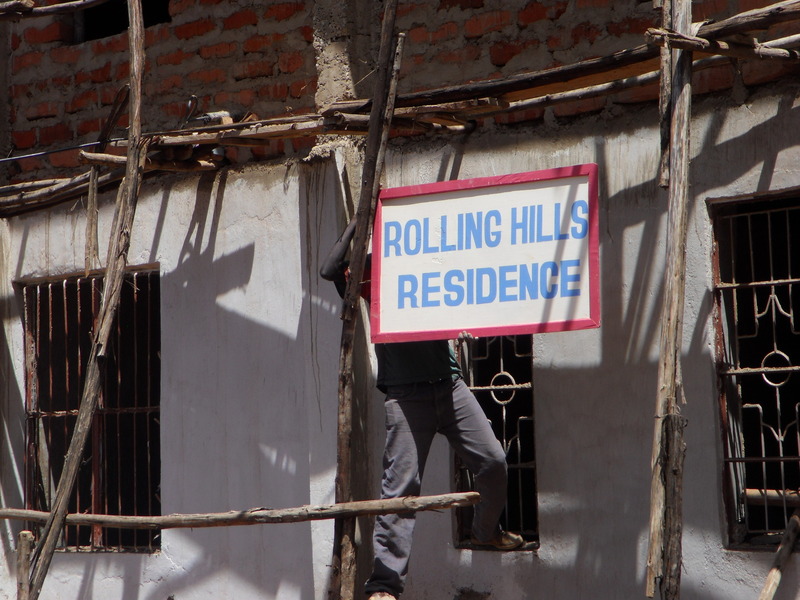 The work on the new Rolling Hills Residence continues to move forward. This new building has become even more ambitious (and expensive) than we had forseen. 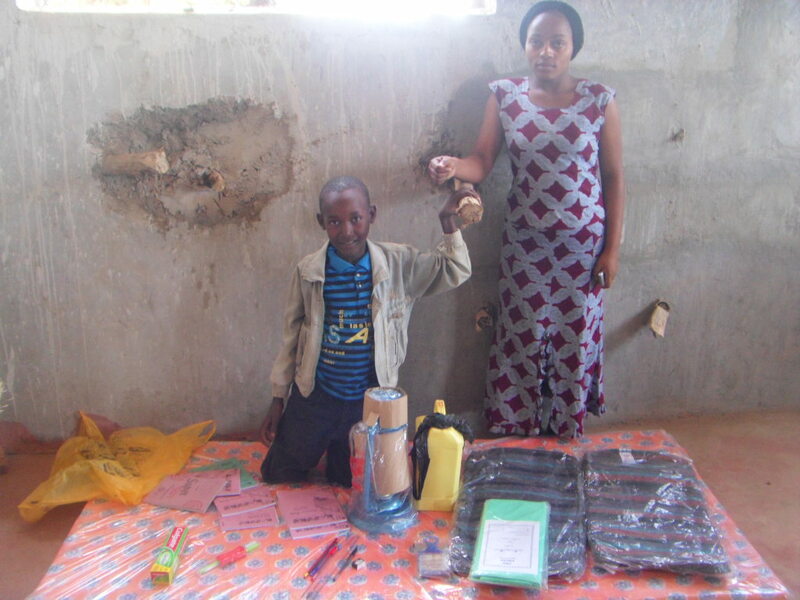 This is a result of a number of factors including government regulations, a gigantic inflation rate in Kenya, the decline of the Canadian dollar relative to this, and a decision to include certain factors that make long term sense (such as the bio-gas plant) but have a major investment in the beginning. 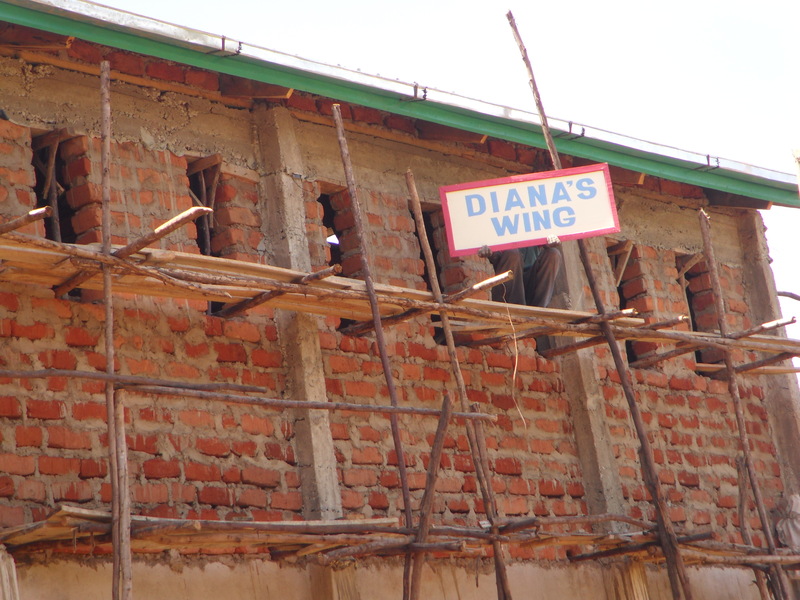 The new building is also going to be named after Rolling Hills – the school that continues to be our strongest supporter. The ‘heart’ of the whole building is the kitchen. 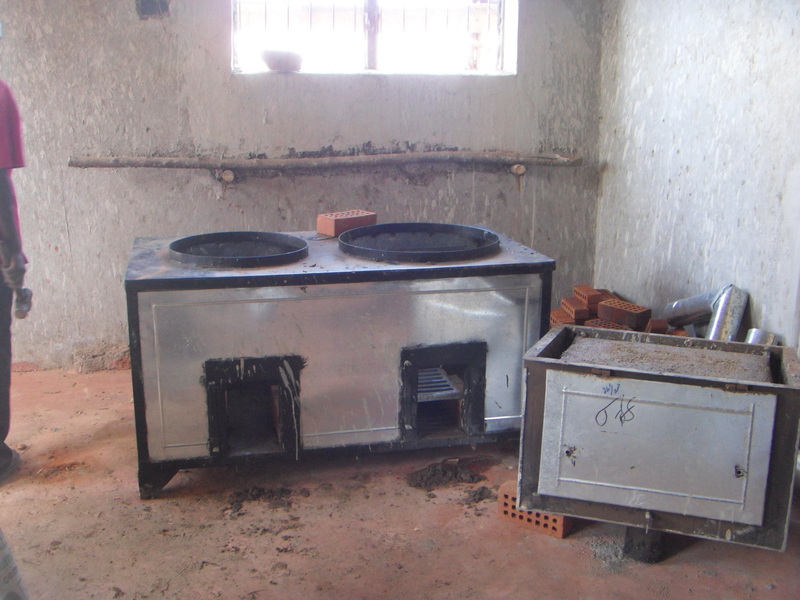 This stove – which can be fueled by either wood or methane from our bio-gas plant was funded by money raised by Alexander Graham Bell School and Roberta Bondar P.S. 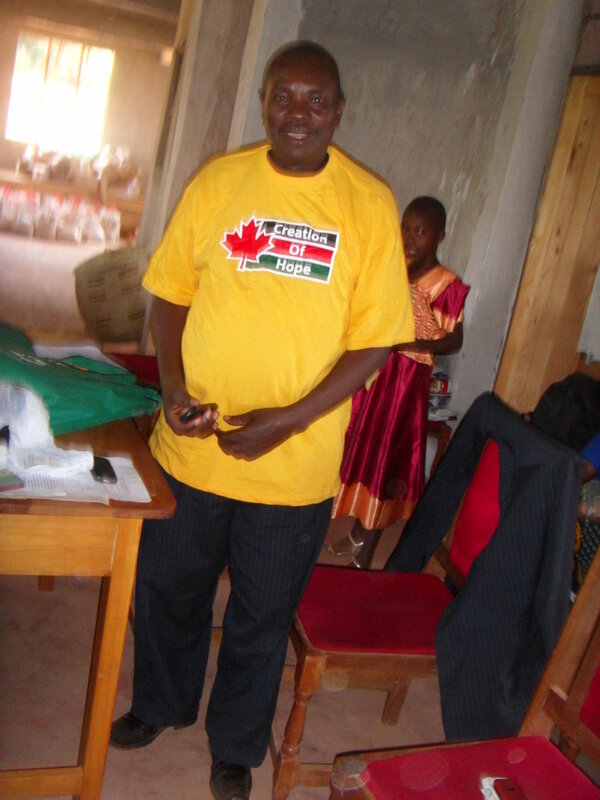 This is Mr. Kiio – our project co-ordinator – wearing a shirt given to me by Alexander Graham Bell P.S. – it was big enough for me so he was the only one who could wear it! 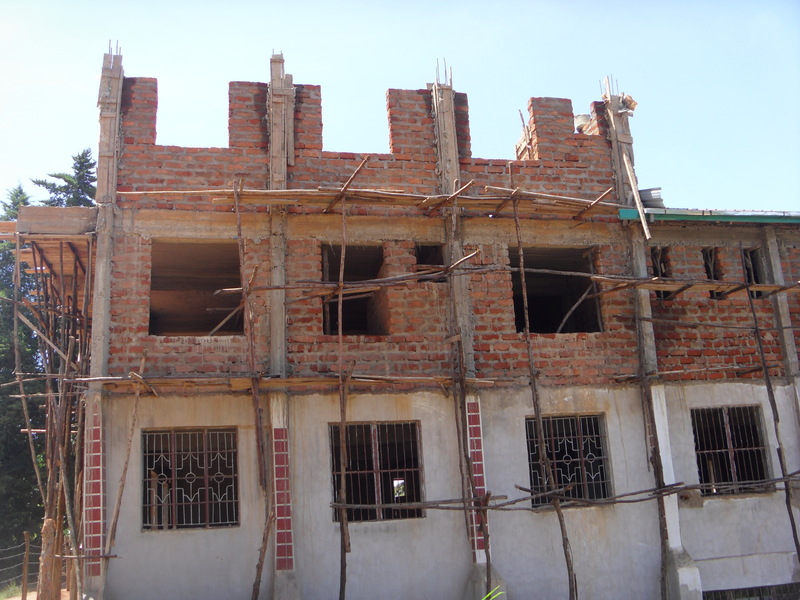 The building is being finished and occupied and utilized floor by floor. 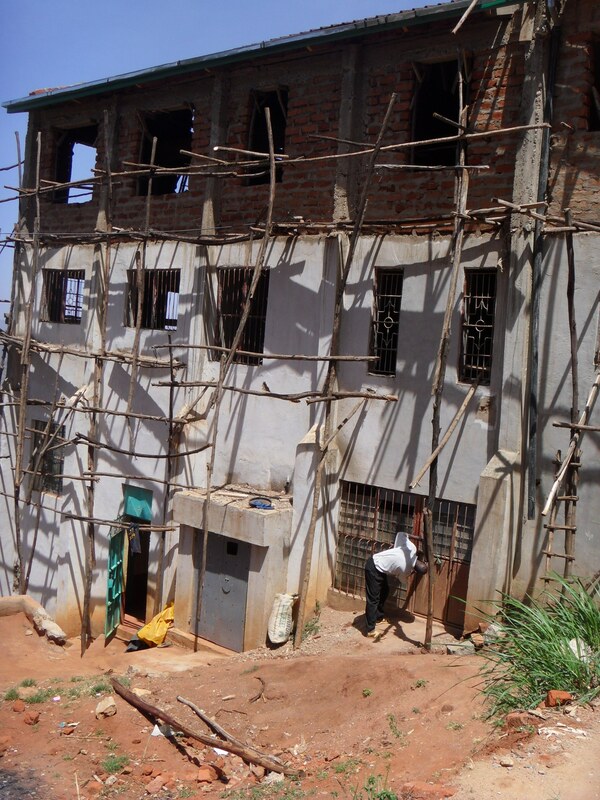 The two lower levels – the younger boys and older boys residences are finished and in use. The next floor, the dining hall/study area and kitchen are almost finished and already in use. The dining hall is called The Whitehorse Room in honour of two schools in Whitehorse which raised funds that were put towards this project. 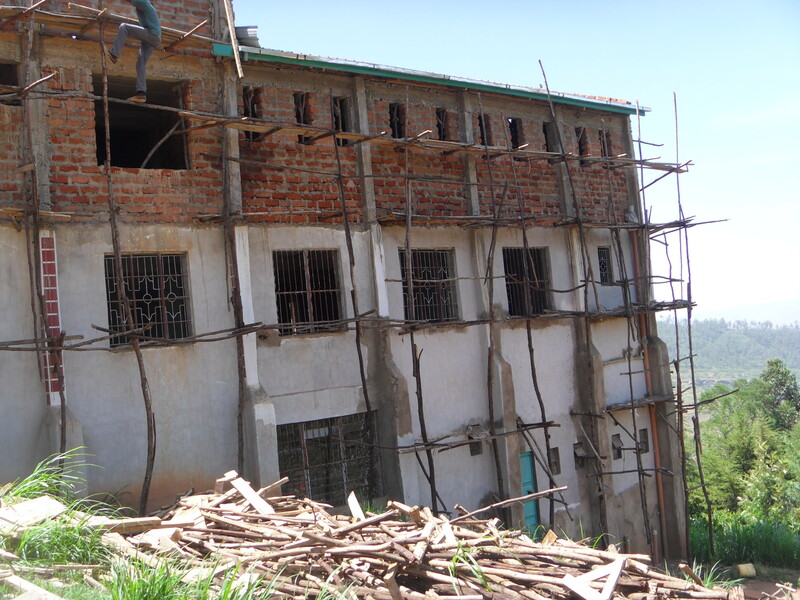 The work continues and it is scheduled that the girls will soon be in their residence on the fourth floor and that the official dedication and opening of all floors will take place in June or July. I must admit that I am never as touched by a donation as when at the end of a presentation a student comes up and gives money from their pocket. 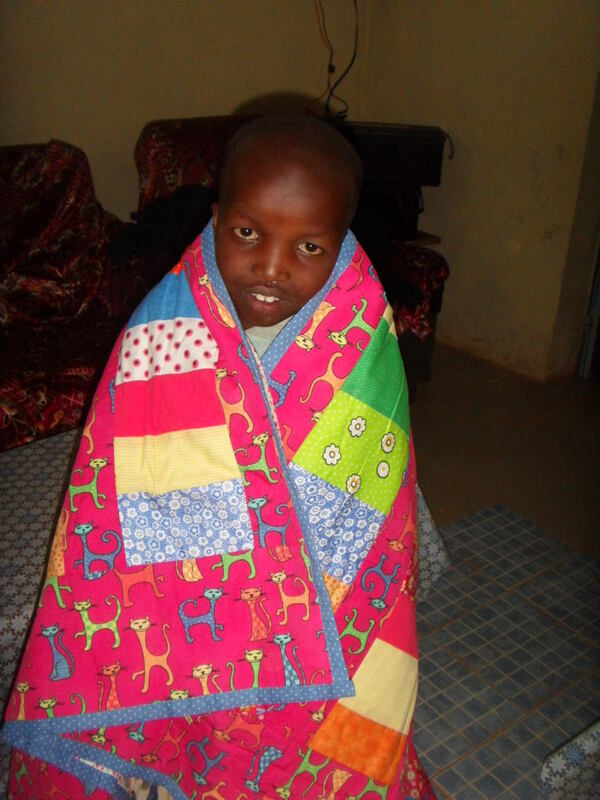 David, of St. Therese of the Child Jesus, donated $5.00 – all the money that he had – and a child will receive a blanket with that and will be warm. 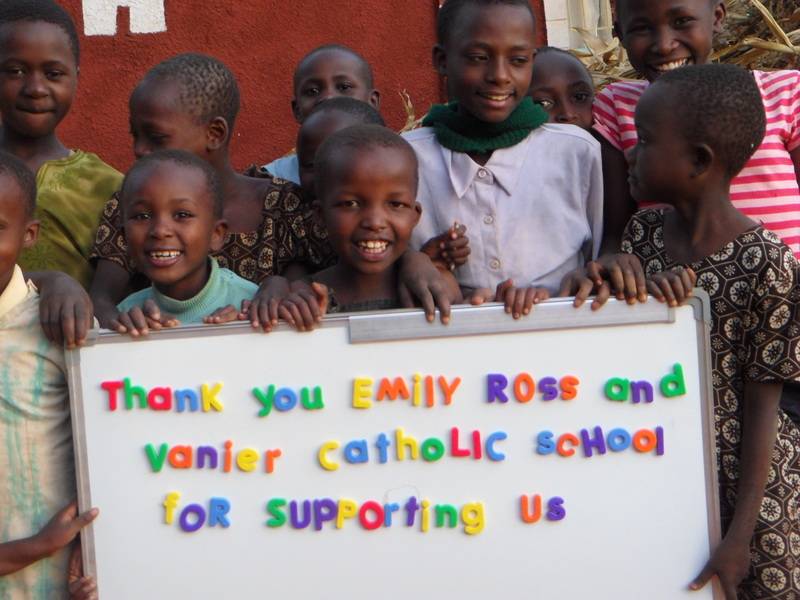 The classes of 8A and 8C at Roberta Bondar Public School are proud to say that we have raised over $400 for your organization Creation of Hope. 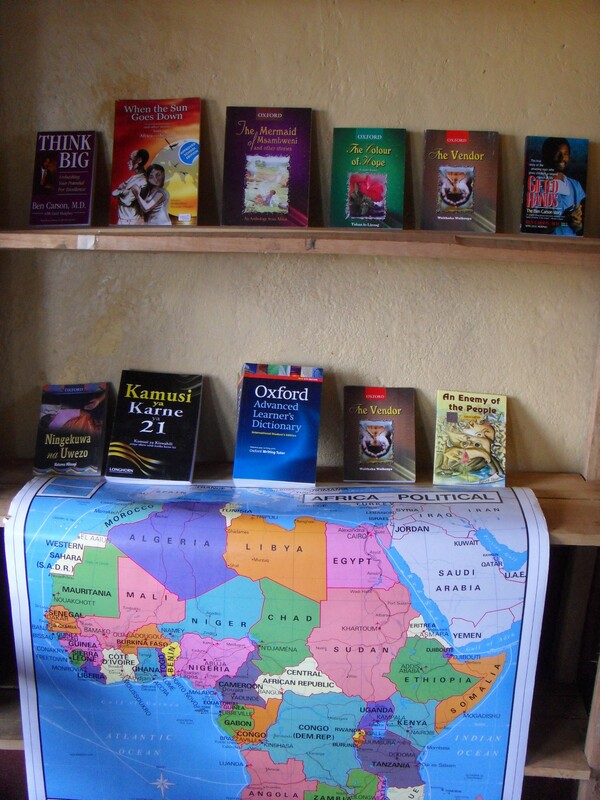 After you had your presentation at our school library we were touched that you are helping the kids of Africa with schooling. 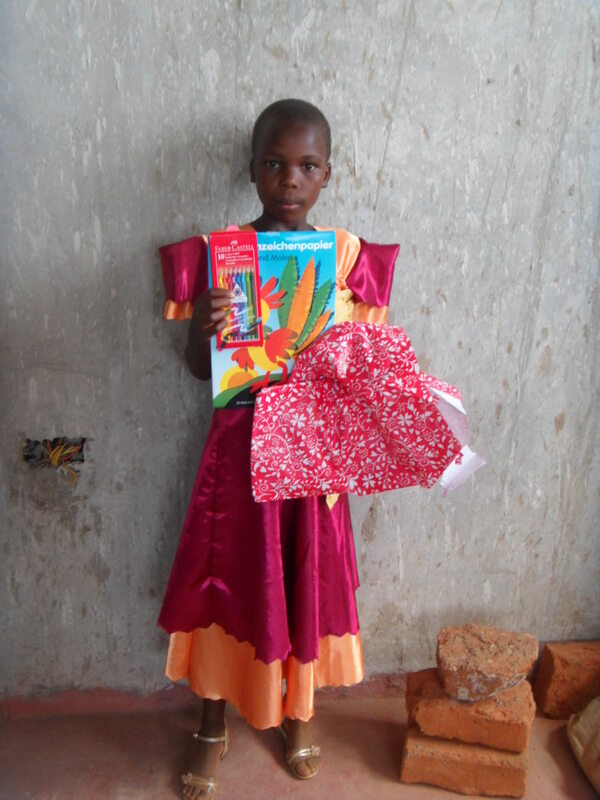 The month after was December and our class thought about your foundation so instead of putting money towards things like Secret Santa, a party, and teacher Christmas presents [which we still did], we decided that we should give kids in Africa a Christmas present. 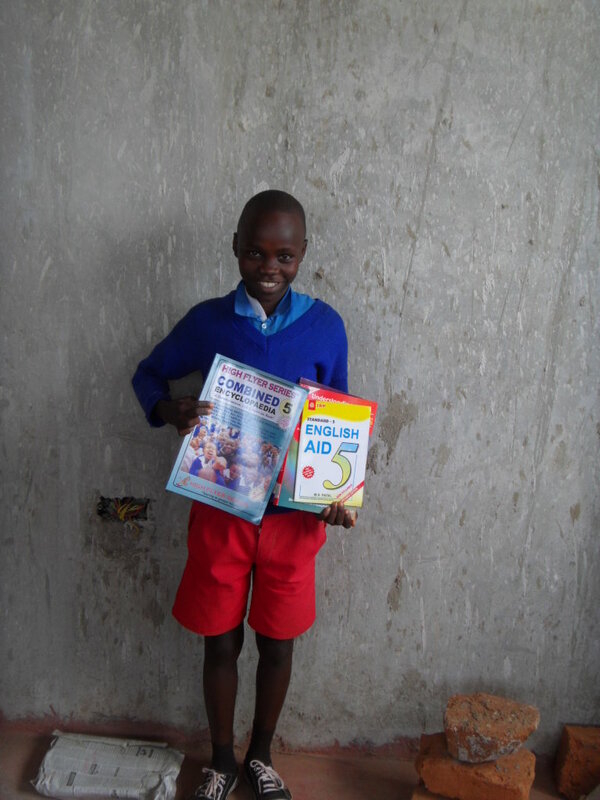 We believe the money has been put into good hands and all of it will be used to benefit kids with uniforms, paper, pencils, or a better school – whatever you decide. This donation comes from our Clean Plate Club at Conrad Grebel University College at the University of Waterloo, where students commit to not wasting food or donate to a charity. We collected $133.00 this term and would like to donate the entire amount to Creation of Hope where the money is needed most/would be most beneficial. Brigadoon P.S. in Kitchener, under the direction of Kim Austin donated $550.00 raised by their social justice club. 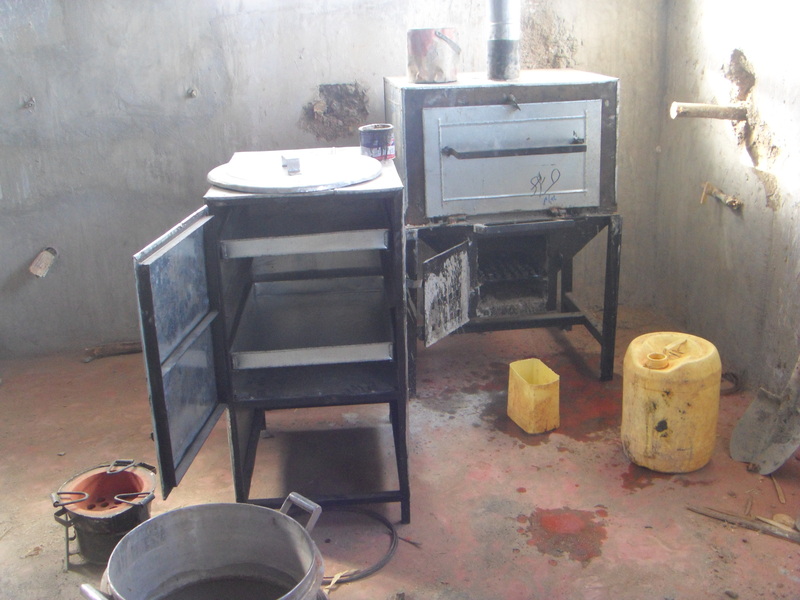 As you have seen above, this money has already been put to use to purchase the stove used to feed our children on a daily basis, provide meals for over 200 orphans each food distribution day, and also help to feed people gathered for conferences and meetings at the centre (and the fees donated back to run the program). Our friends from Aviation and General Security came calling again yesterday – the first time of four visits planned for this year. 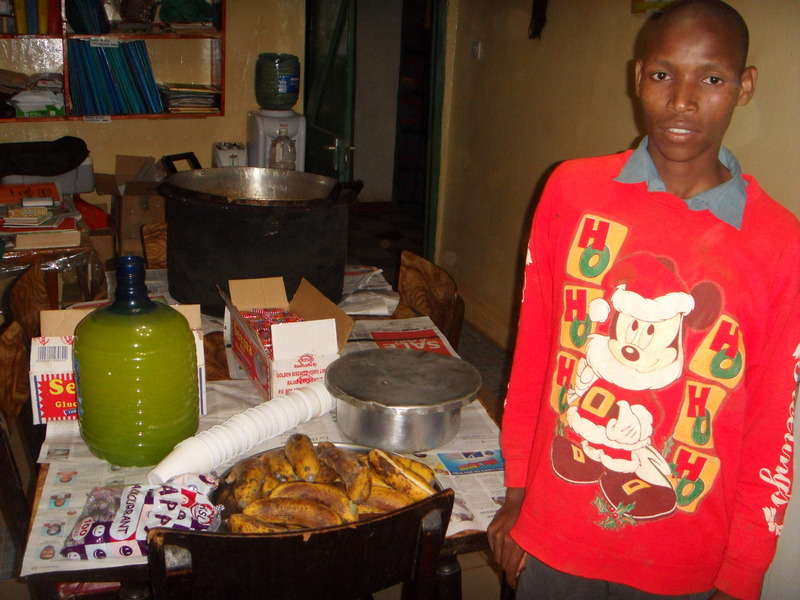 They came to spend time with the children, visit the property and share a meal with us. 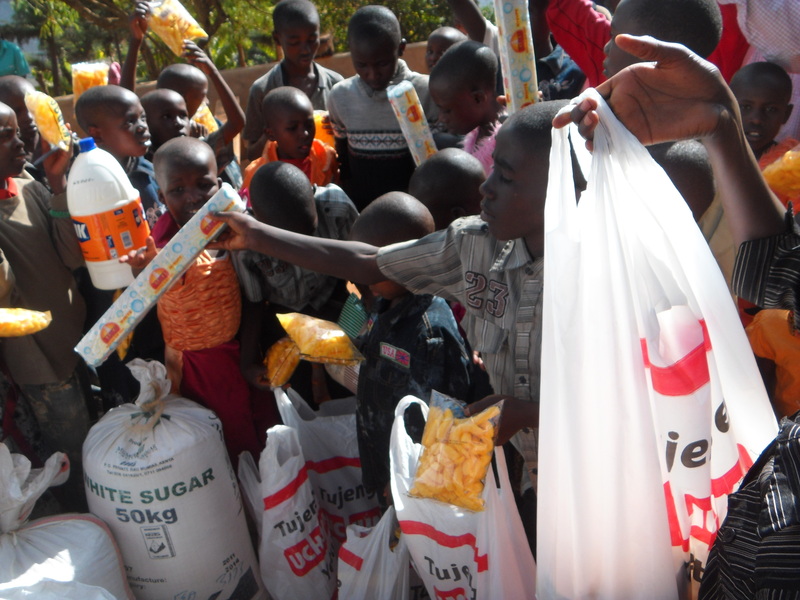 Along with them they brought food worth Ksh. 26,000. 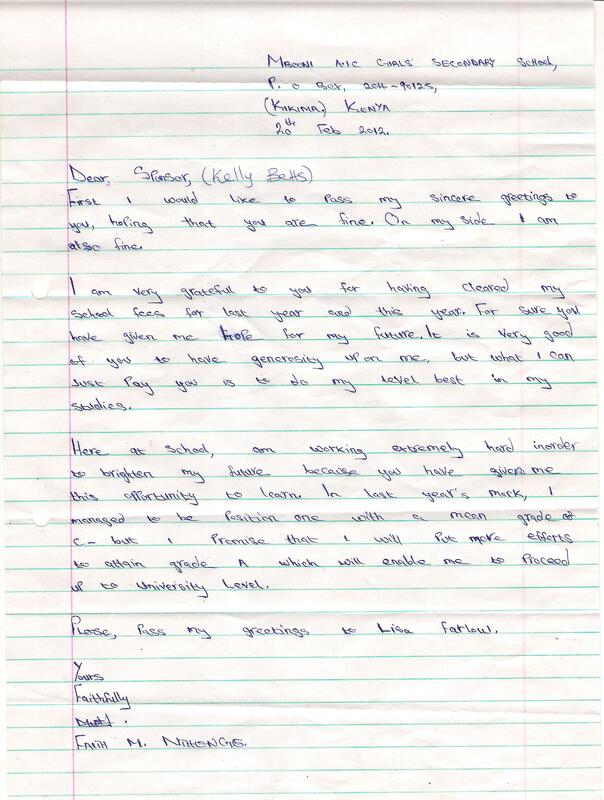 I hope this can go on the website again. These are good friends indeed. 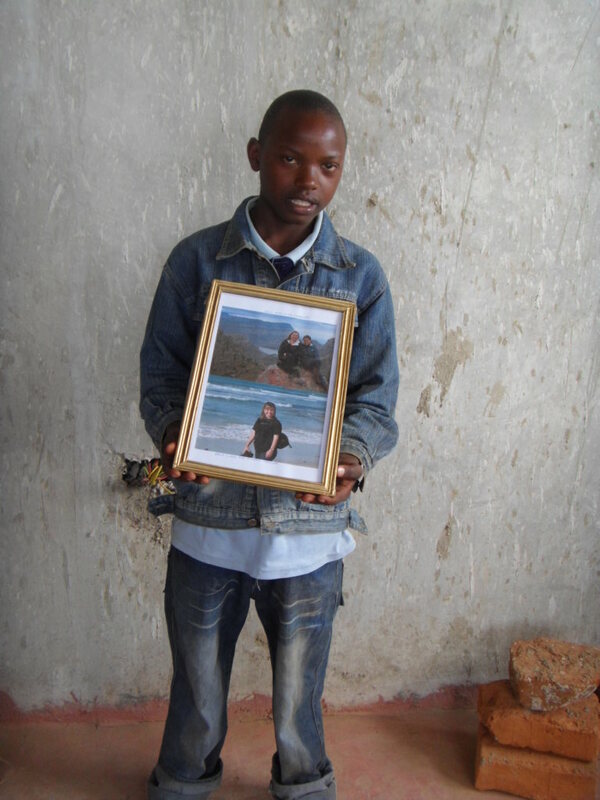 Look at the photos. 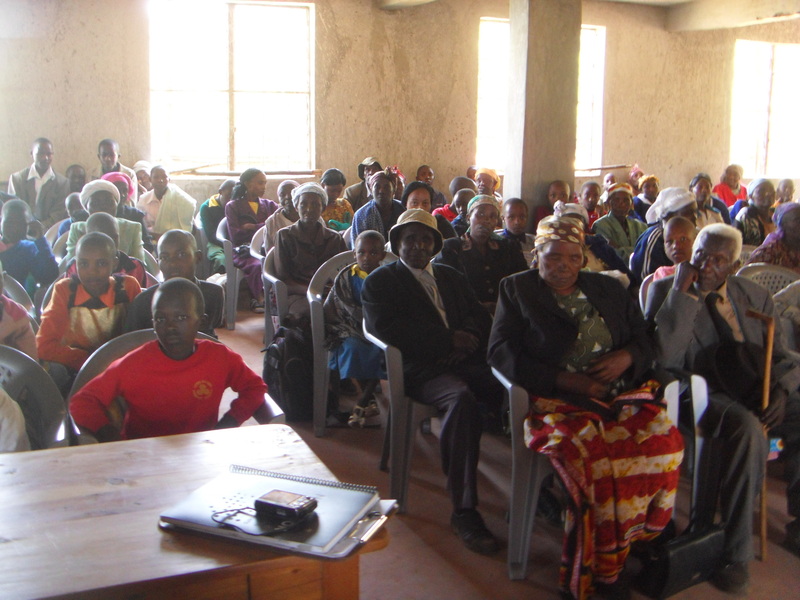 The contributions from Kenya – which are constant and increasing – are an example of not only how the program is being accepted and endorsed by Kenyans but their personal commitment to help their own people. This remains the direction we want to move with the program, with decisions being made by people on the ground and ultimately the whole program being run in Kenya by Kenyans. Amanda and Jon are getting married on August 4th, 2012. 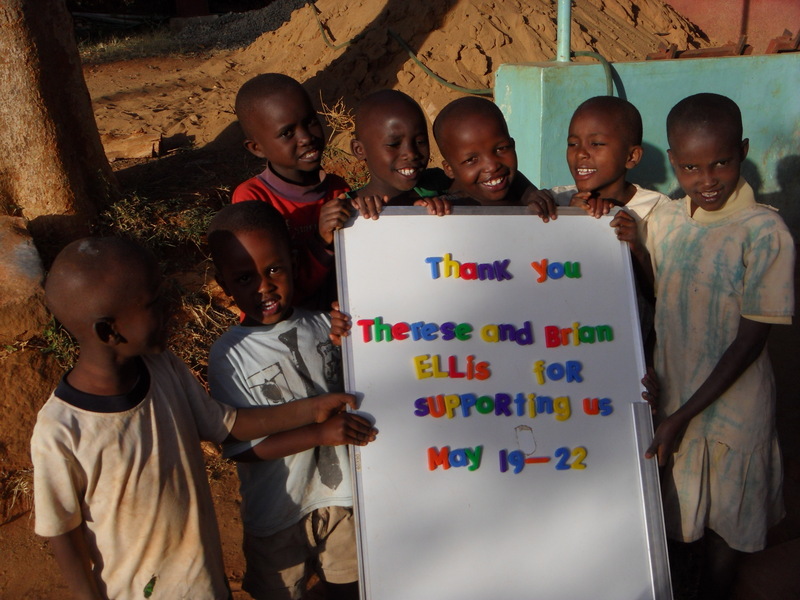 Instead of giving wedding favors to their guests at the wedding reception, they have donated money to support the entire Rolling Hills Residence for 8 days. What a kind and generous way to start their lives together as a married couple. Congratulations Amanda and Jon! 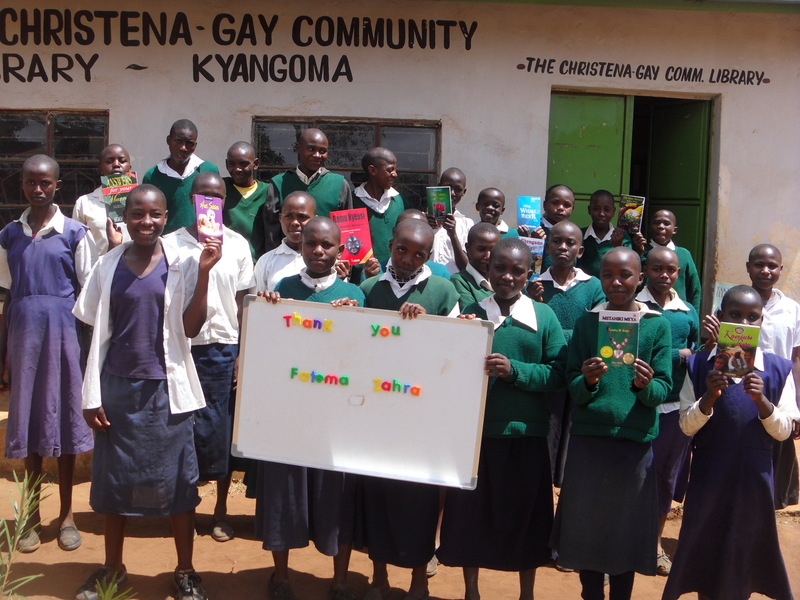 Heather the owner of Ella Minnow Books, and her family, donated for wishlists. Kay thinks these can be filled within the next month. 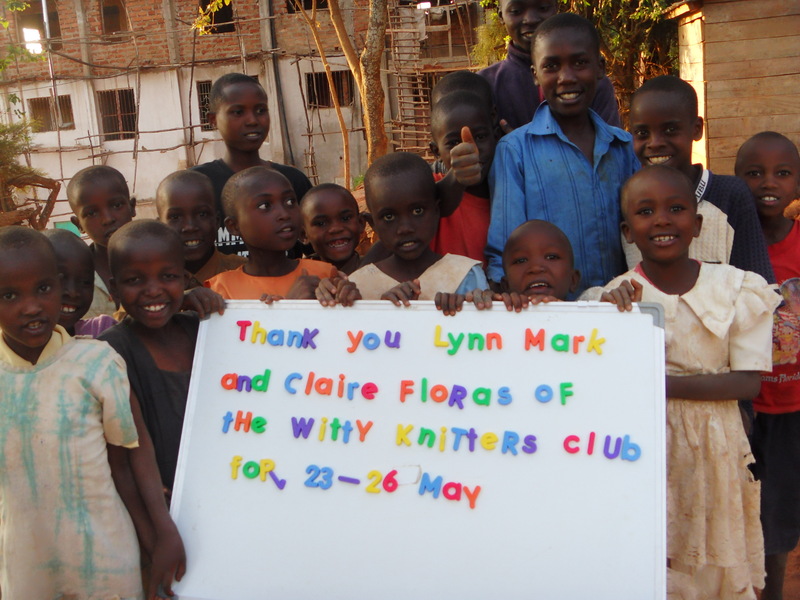 Lyn Mark and Claire Floras and the Witty Knitters Club made a donation. Our good friends at Kettle Lakes Public school raised another $400 from a ‘toonies for tunes’ program where students donated a toonie and dedicated a chosen song to be played on the P.A. We have already spent this money on uniforms! 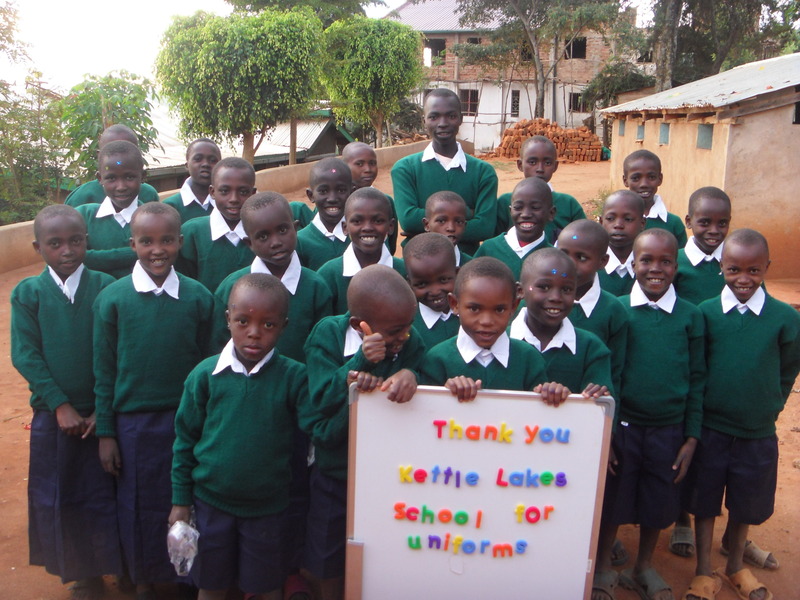 In addition, previous money from Kettle Lakes was also spent on uniforms. The importance of uniforms cannot be over-estimated. 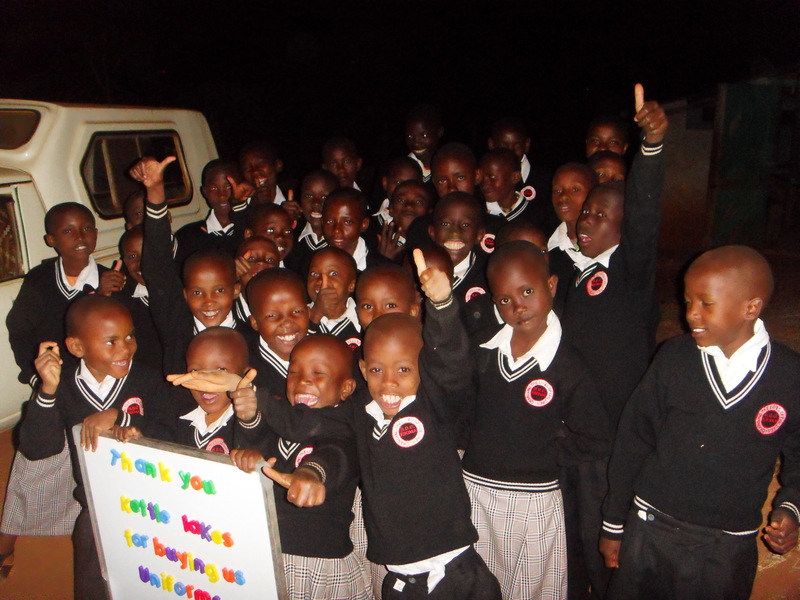 Without uniforms , the children are not allowed to attend school. Notice the ‘stars’ on a number of foreheads – I’m not sure why they have them but they do seem awfully proud! 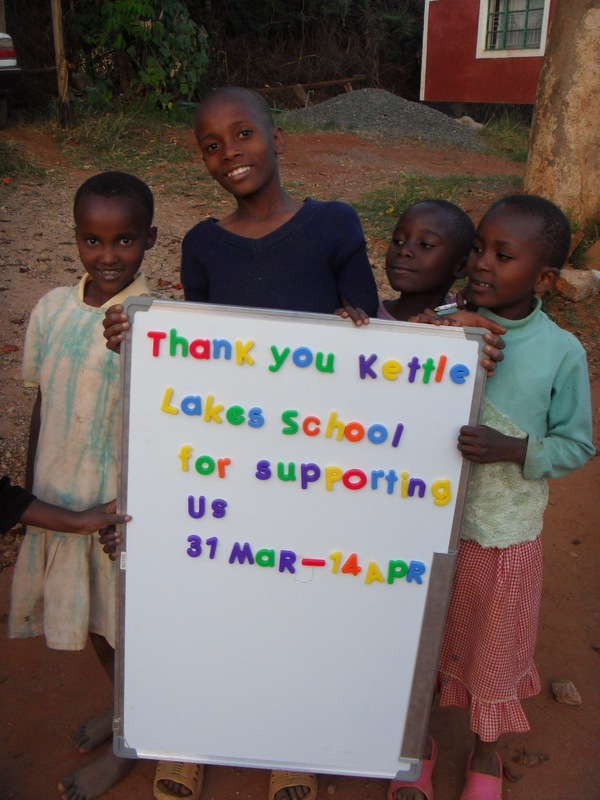 As well ,other funds from Kettle Lake were used to purchase 26 more chickens for orphans in the community. And since we are talking about Kettle Lakes, the final part of their donations was used to provide for the funding of the entire Rolling Hills Residence for these days. 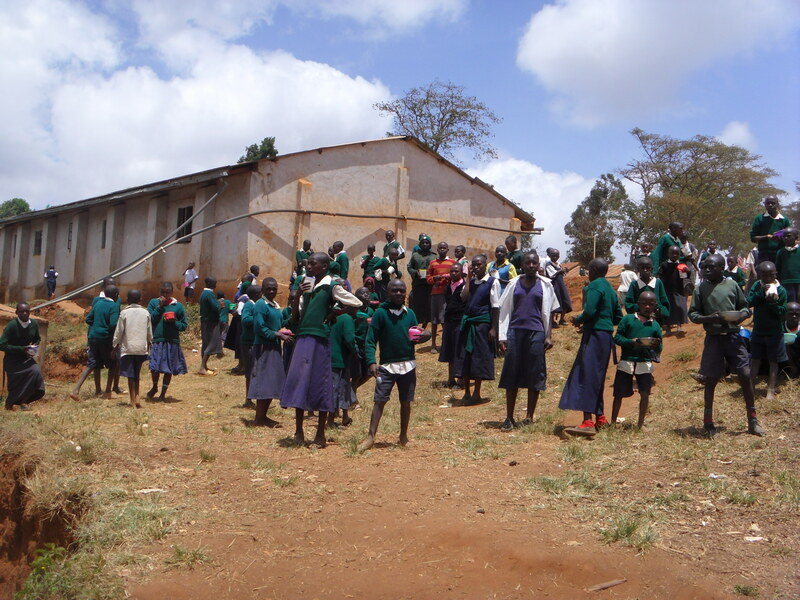 We have 19 children in different grades, types and levels, enrolled in secondary school across Kenya. There is a wide range in the tuition costs based on the type of school. 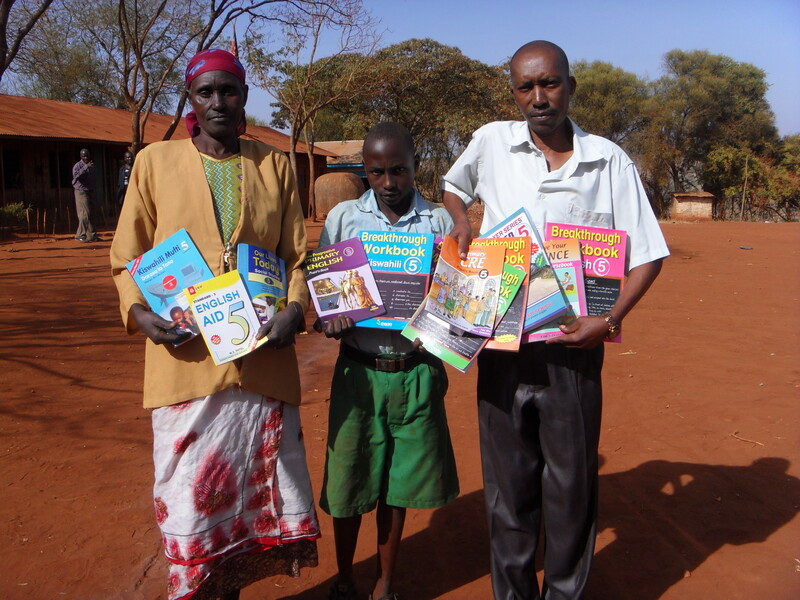 As well, each child is equipped with school supplies, uniforms, and books, as well as transportation costs to get them to school. The first year is much more expensive than other years because of the addition costs to equip the students in this manner. 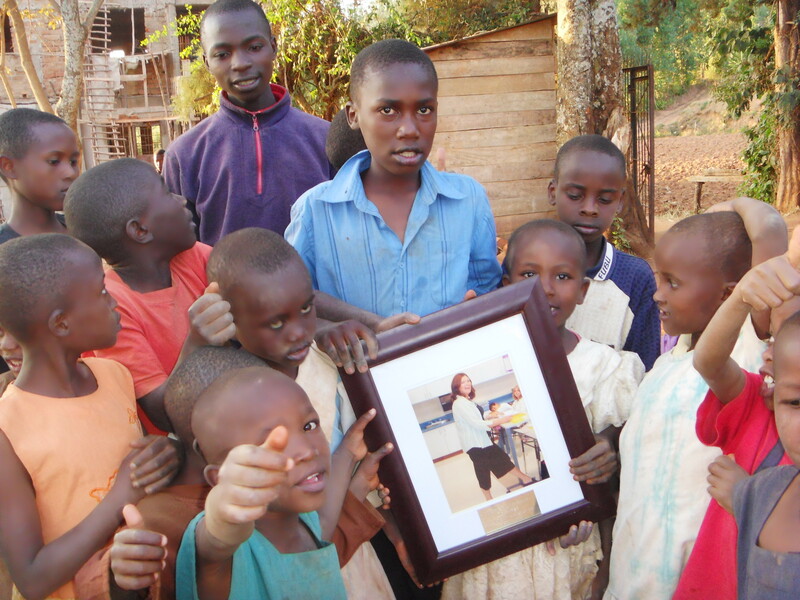 The total cost for these 19 students was $4693.55. 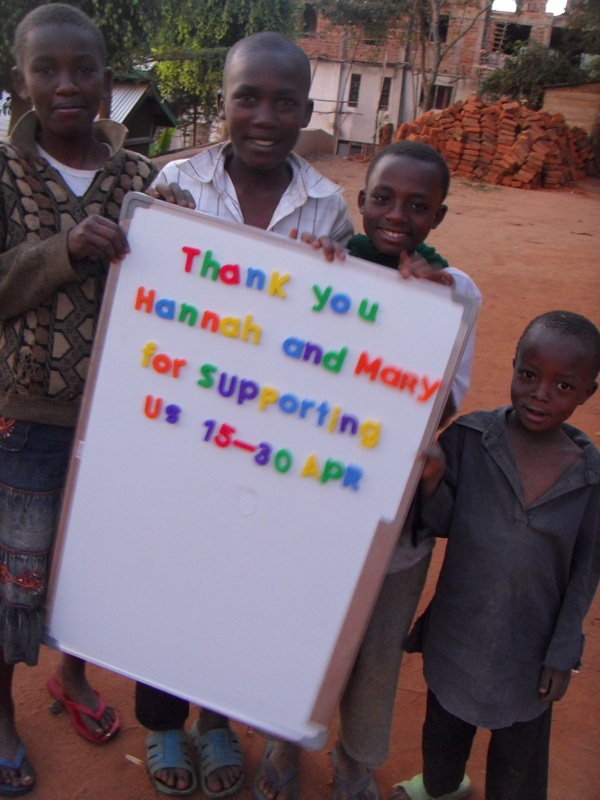 Here is how these children were sponsored. This tuition is so high because not only is entering the school with all of the associated costs, but this is a very high level school. 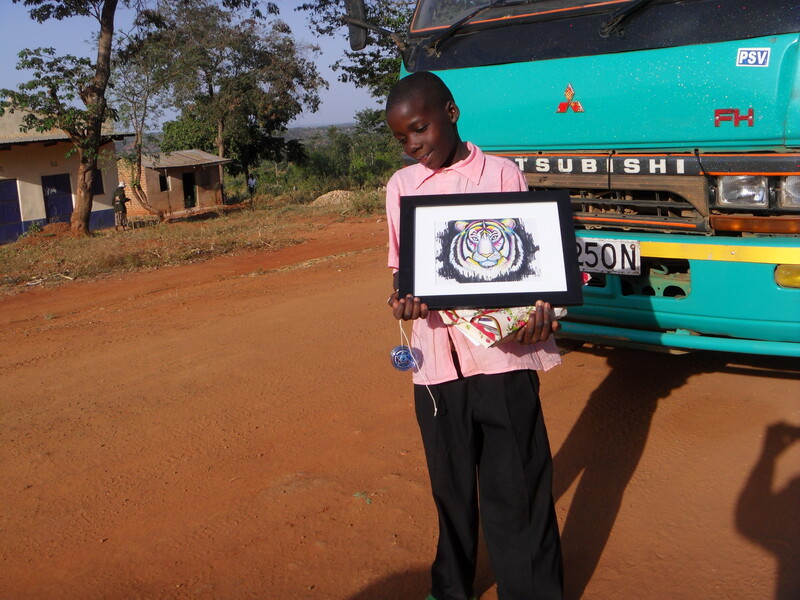 Doreen entered with the highest marks of any student we have ever been involved with. We would like to thank all the individuals and schools who contributed to furthering the education of these deserving students. 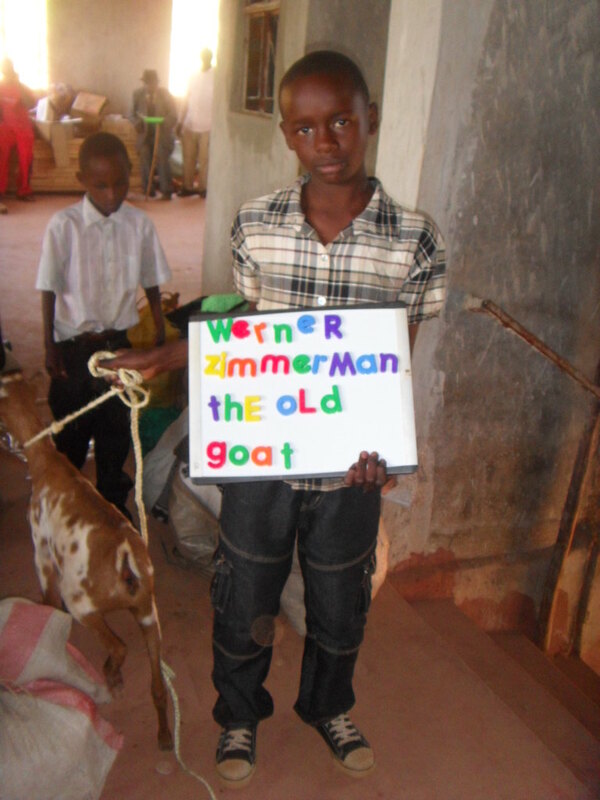 Education will make an immense difference in their futures! 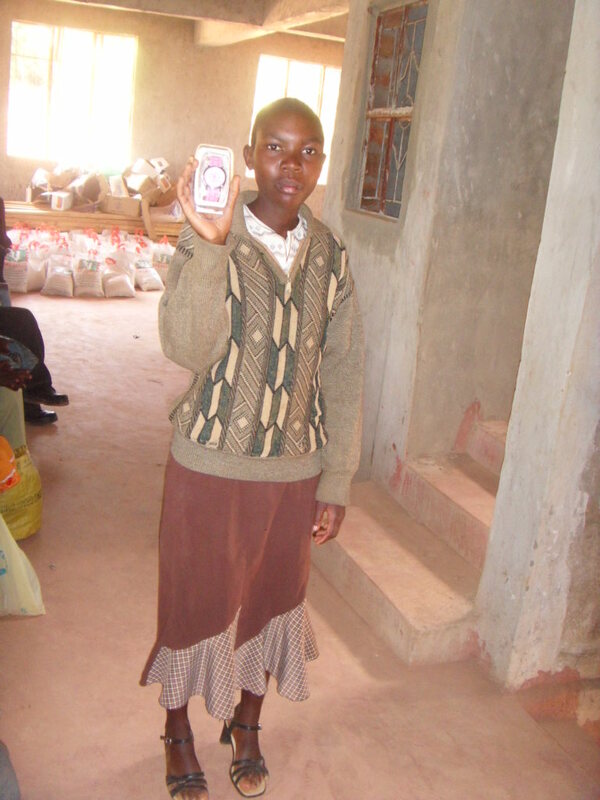 Faith is our first high school student to have her tuition funded. 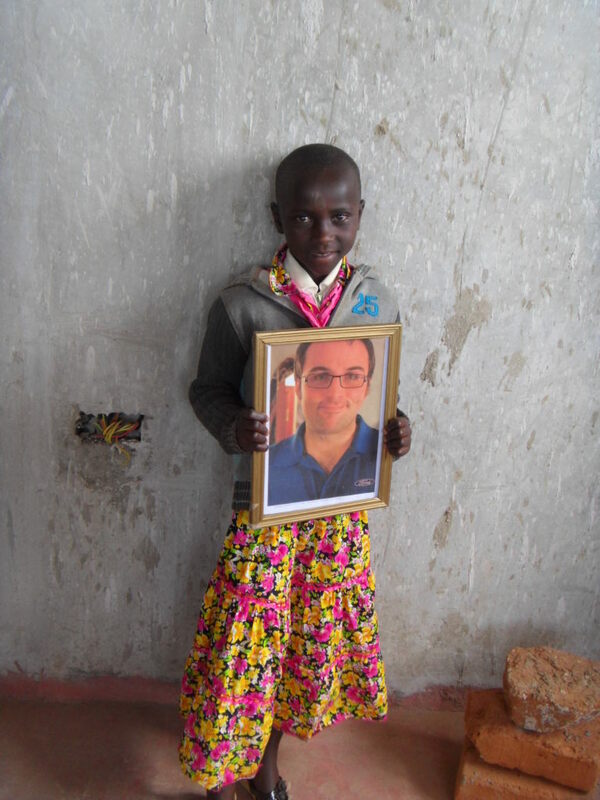 She is now in Grade 12 and will be graduating this coming December. She is a bright, dedicated, and grateful student who has taken full advantage of the opportunity given to her by the program. 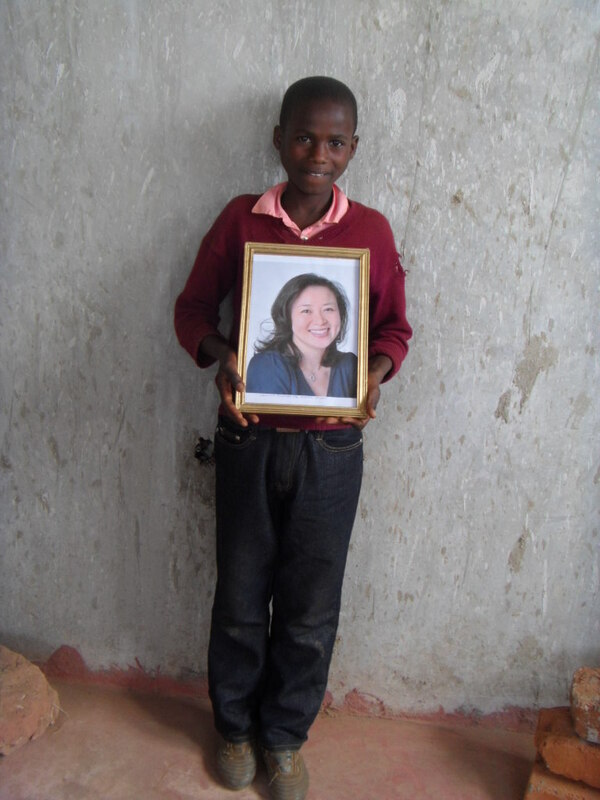 Faith’s potential and her inability to reach that potential without support, were first brought to our attention when Lisa was doing a three month placement in Faith’s school. 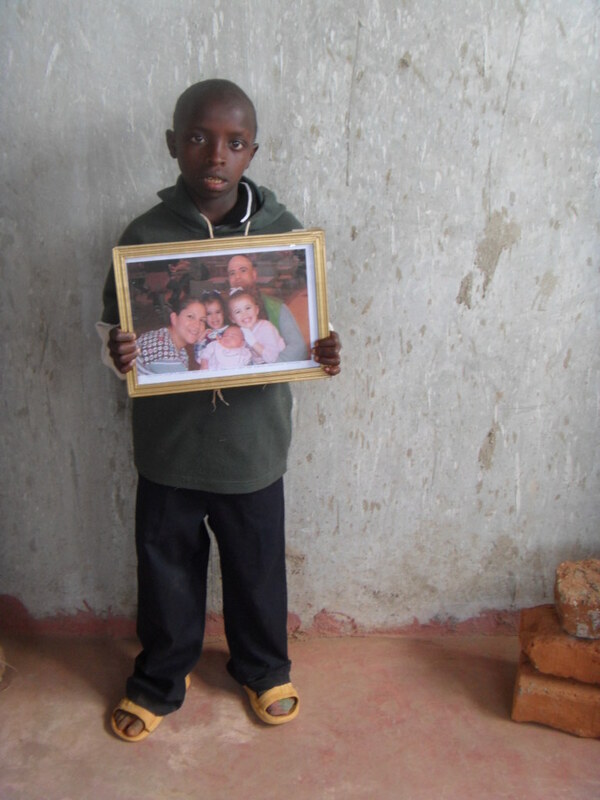 Mulwa’s birthday party supported by his sponsor Laurie and Eric on Wednesday March 7. 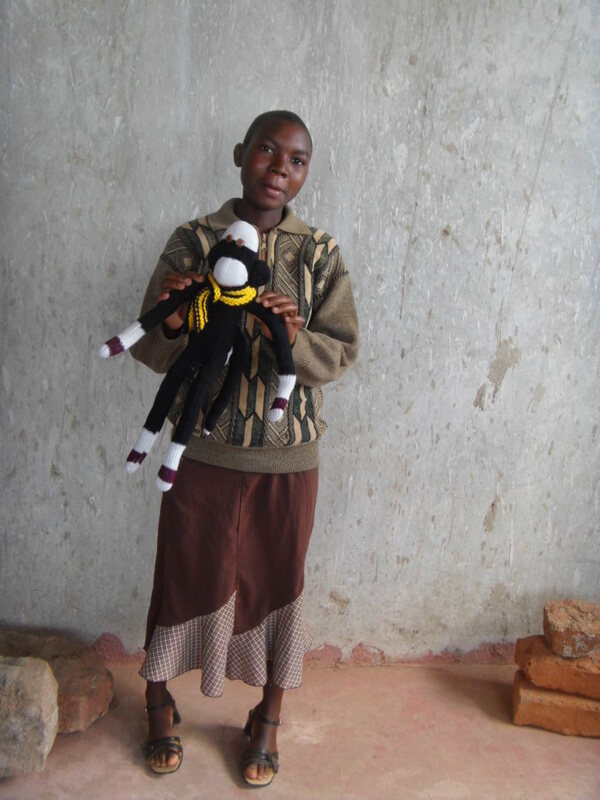 Naomi receiving a watch from Janice and Art and a sock monkey from Clarkson S.S.
A lunch for all the students of Kyangoma School provided by Liz Dilla! These bunk beds were funded by a donation from Tina. 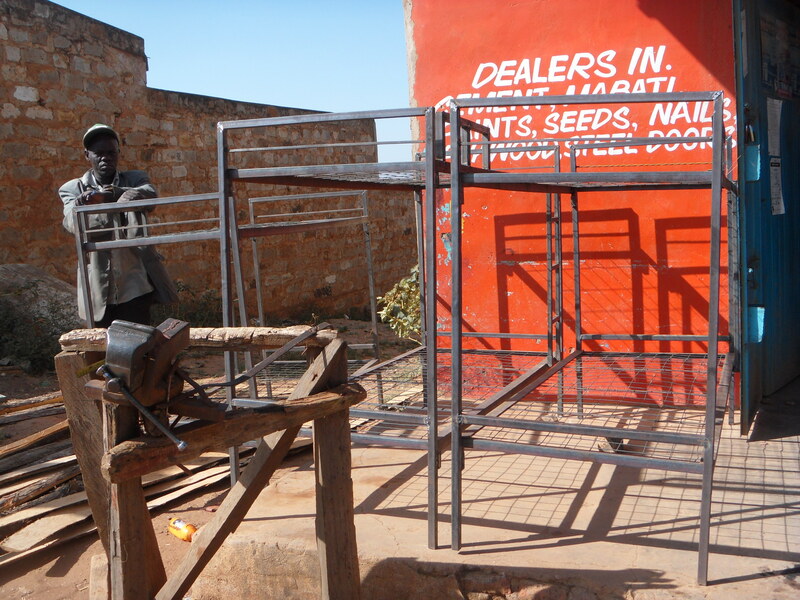 As always we strive to have things made locally – this is a shop in Kikima. 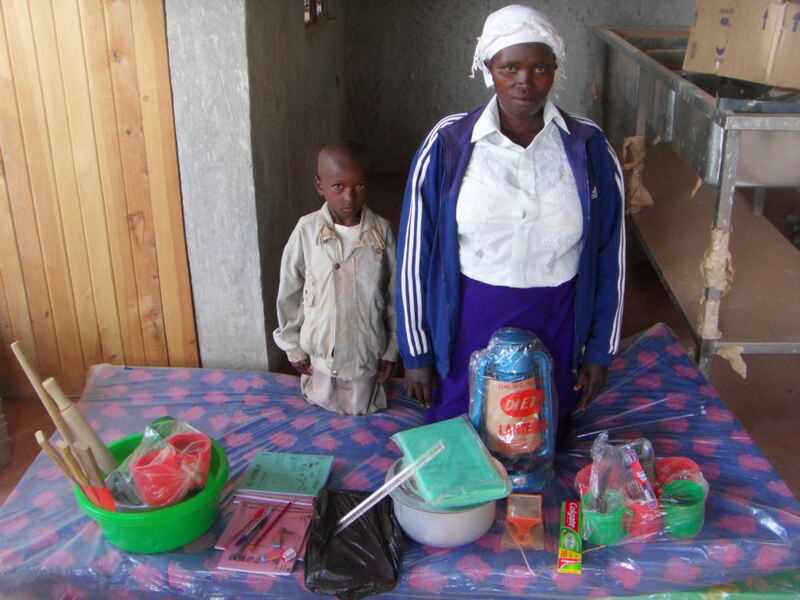 This purchase will allow the owner to buy locally and provide for the needs of his family. 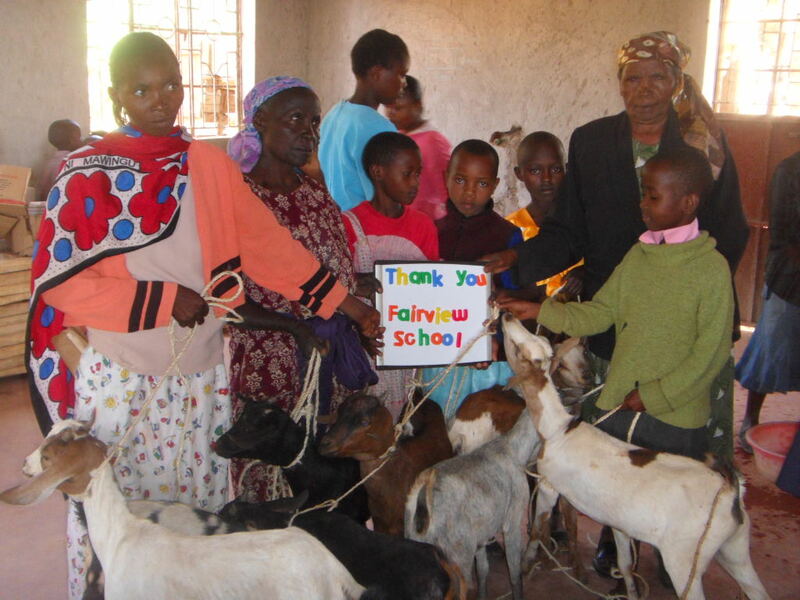 30 orphans each received a goat thanks to the Fairview students! 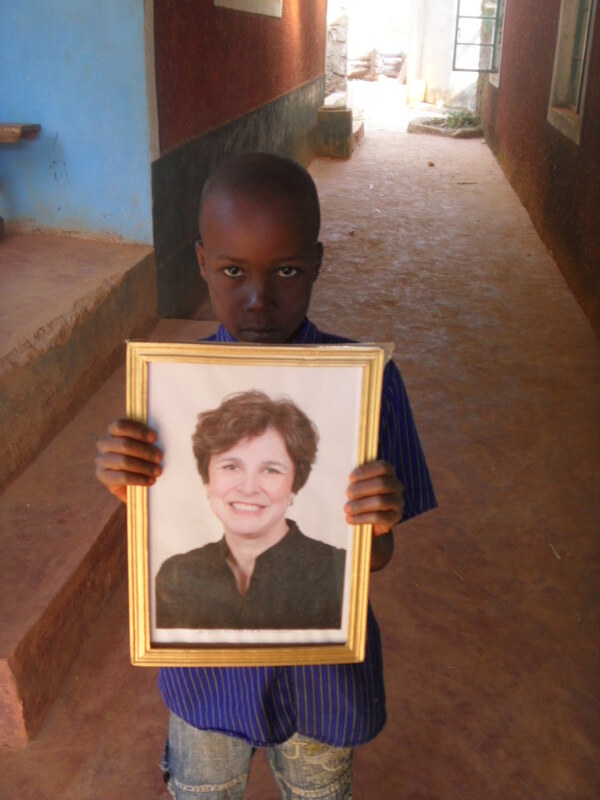 Daily Support of Rolling Hills Residence – $50.00 provides food for 44 children, their school supplies, clothing, medical treatment, the salaries of the matron, night watchman, tutor, and the electricity, water and sanitation for the entire building. Once again we wish to close by acknowledging the generosity, energy and thoughtfulness of so many! 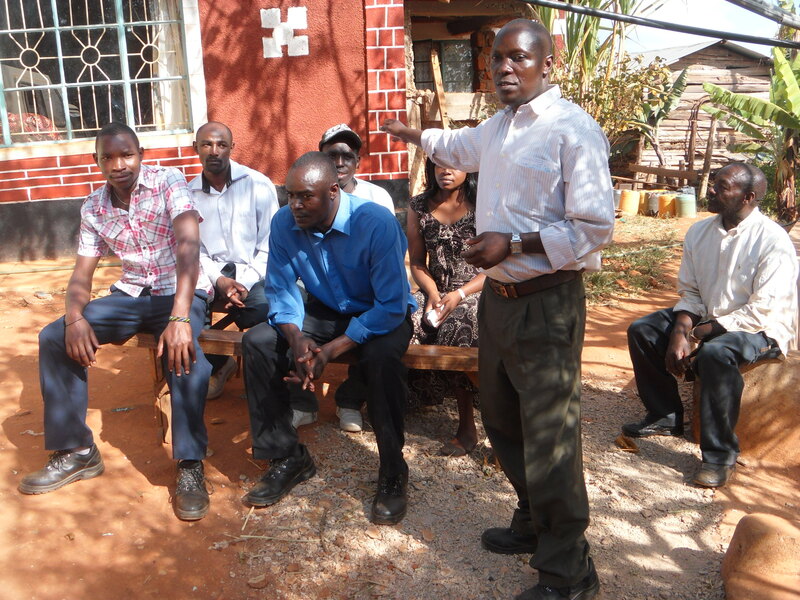 It is with such support that our organization has continued to experience the growth and success it has. Thank you to all!